Today I’m doing something very out of character and I’m giving up one of my deep dark secrets. Sometimes I use a boxed cake mix. But nobody has ever guessed it…and I’m going to show you why. I haven’t done a baking tutorial in awhile but Fresh Farms dropped these strawberries off and they are too perfect not to make into a beautiful strawberry cake. 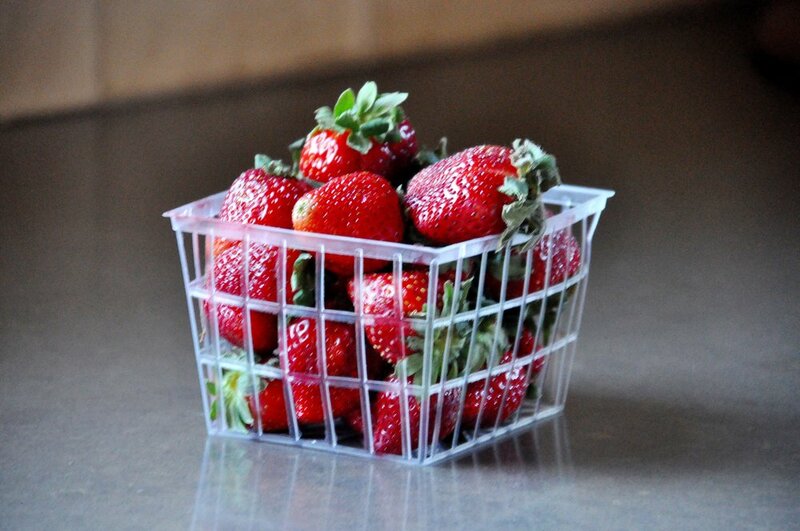 And as an added bonus, these perfectly shaped fresh strawberries will make wonderful (and easy!) decorations for the top of my cake. But back to my deep dark secret- if you know me or watch my channel- you know that my general philosophy is to only take on baking projects that seem insanely hard to master. The more complicated and impressive the better...but this cake is anything but hard and comes straight from a box. I kind of can’t believe I’m willing to make a cake from a box. BUT....... I actually make this cake ALL THE TIME. And it fools everyone (until they see this I guess...). Check out the full tutorial on my my channel! And don’t forget to subscribe to my channel so that you don’t miss any of my tutorials! Let’s get starting making the cake so I can show you all of the little baking hacks that will help you fool your friends too. First thing first, I’m picking out the most perfect strawberries from my bunch to use as the decorations on my cake. It’s easy to do when they are all perfect. These are Famous Florida Strawberries. Fresh Farms (Formally known as The Fruit Club) hand picked these strawberries from the same farmer they buy from every year (which is pretty cool!). They are juicy and sweet and of course one of the things I like best about them is how perfect they look. These are like “advertisement perfect” strawberries. Fresh Farms actually gave me these strawberries, but you can get them too. They ship all over the US and there is actually a huge sale on them right now. Today and tomorrow only they come in an easily refrigerated 9 lb flat for only $27! For more information check them out here. 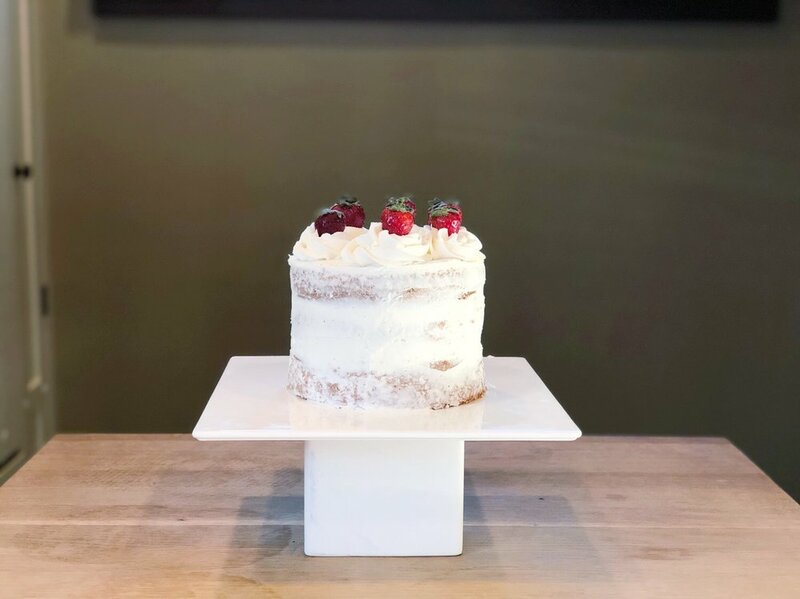 If you have ever hacked a box cake before to make it seem more like a bakery cake, you probably know that it’s generally advised to swap the water out for milk. But I am not going to do that. Instead I’m going to throw a few of my strawberries in a pitcher and infuse the water that I am going to use in my cake. This is best done in advance- even overnight. And if you don’t have strawberries as flavorful as these Fresh Farms strawberries, you can also infuse the water with some strawberry tea. But these are so good that they don’t need any enhancing! To bake the cake I am going to dump my cake mix in a bowl. Then I can add all of the ingredients... in any order I want ...which seems like playing with baking fire to me but I guess boxed cake mixes are magic! In order to make it taste even more like a bakery cake- I’m adding an extra egg. Some people will also replace the oil with the same quantity of butter - but I only do that when I know I’m going to serve the cake right away. Since butter is a solid at room temperature and oil is a liquid at room temperature- the oil will keep the cake moist for longer. The best part of course is adding in the strawberry infused water. And my last super secret hack is to add a teaspoon of vinegar to your batter. The vinegar will help ensure you have a light and even crust on the outside of your cake (making it perfect for the “naked frosting” I am going to do today). Mix it all together and poor it evenly into your pans. 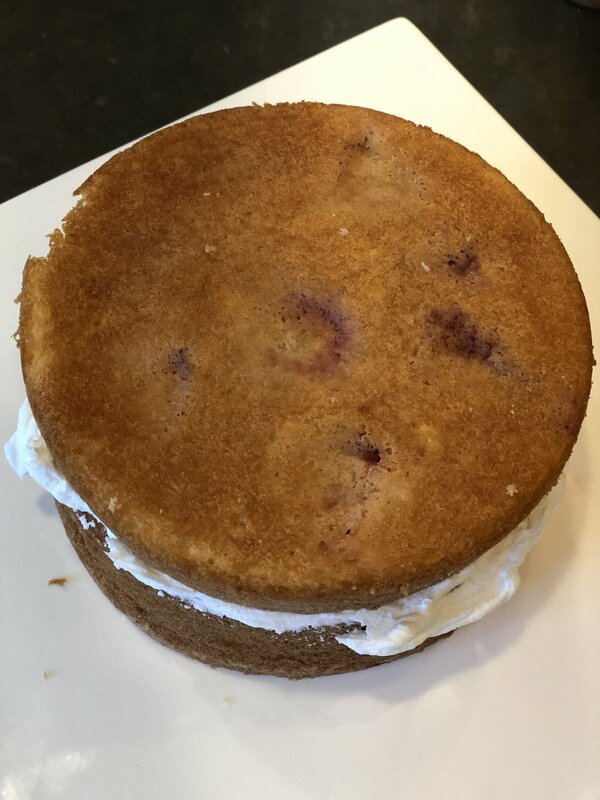 I hate short little sad cakes, so if I am not doubling a cake recipe (or in this case using two boxes), I like to use 3 six inch pans instead of 2 eight inch pans. This gives my cake the grandeur I am after without adding any quantity to my cake. Now add halved fresh strawberries to each of the pans. These strawberries will bake perfectly in the cake without doing anything else to them. My cakes are cooled, I have leveled them with a serrated knife and stacked them with my homemade almond buttercream between each layer. To make my almond buttercream, simply beat together 1 stick of shortening with 2 sticks of butter and then slowly incorporate about 5 1/2 cups of powdered sugar. Add about 3 tablespoons of milk (or enough to reach your desired consistency) and a teaspoon of almond extract. To frost the outside I’m doing a naked frosting technique, which basically just means that you don’t worry about covering the entire cake with frosting but instead go around the cake scraping on some frosting. You don’t have to worry about the crumbs or covering every inch of the cake. This gives the cake a beautiful and sort of rustic appearance and has the added bonus of not needing to painstakingly smooth the frosting out. To finish off my cake I’m simply going to fill a piping bag fitted with a large open star tip with my my buttercream cream and go around the outside of my cake. Start from the outside and twirl your piping bag in as you do each mound of frosting. The last step is to set each of these perfect strawberries evenly in the buttercream around the cake. And it tastes amazing too! Leave me a comment and let me know what kind of fruit you want me to make a dessert tutorial with next!